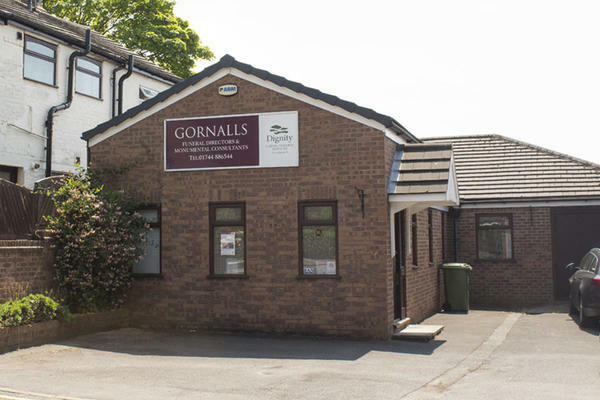 Gornalls Funeral Directors have been providing an unrivalled standard of funeral care to the Rainford, Crank, King’s Moss, Crawford and St Helens communities for many years. Since the 1940s, Gornalls Funeral Directors in Prescot have served Merseyside with dignity and compassion. We do not compromise on quality, which is why you can rely on us to take care of you and your loved one. We will use our 80 years of experience to listen and understand you; so we can tailor your loved one’s funeral to your every wish. You will have the opportunity to pick the music, vehicle or type of funeral along with any other requirements. Whatever your choice, we can cater to you. It is our duty to help you, our devoted team are here to support, advise and comfort you during this difficult time. We are on hand to answer any questions, day or night. At Gornalls Funeral Directors, we understand how special life is with those that you love. For us, every funeral is unique and personal. We have a service to fulfil every wish, with every detail carried out with the same uncompromising quality of care. From a traditional service, to a colourful woodland burial, your options are limitless with our Full Service Funeral. If you have a little more flexibility when it comes to arrangements, then we can provide a Simple Funeral for a lower cost. Our staff are available 24 hours a day on 01744 886544 if you require our services outside of these hours.